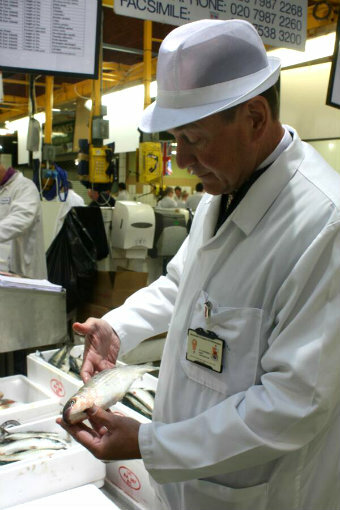 Rachel Smith takes a dawn tour of Billingsgate Market with Chris Leftwich, its chief inspector, rounded off with one of the market café’s legendary breakfasts. The distinctive yellow hanger which is the modern-day Billingsgate Market looks uninspiring from Trafalgar Way. The market was founded around 1327, and grew round London Bridge. By the 16th century the Thames hub was the centre of fish trade in London; by the 19th century, it was the biggest fish market in the world. This caused problems though as fishmongers fought against the growing traffic round one of the main routes into the City. So, in 1982, it upped and moved four miles east, to a 13-acre location near Canary Wharf. 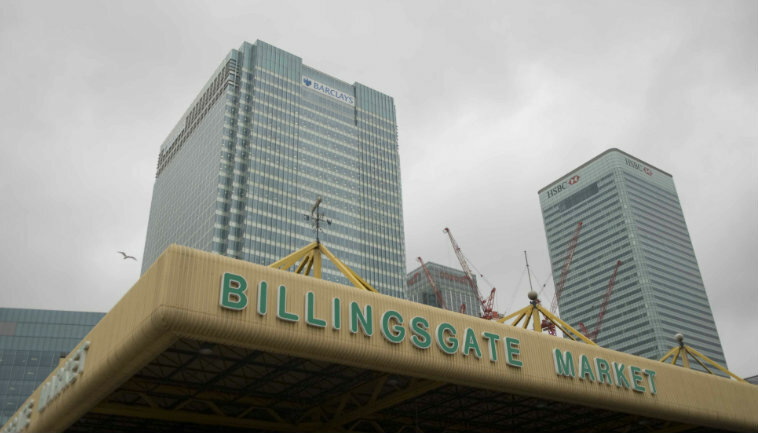 Now Billingsgate’s flat-roofed building is surrounded by acres of flat car park. Practical, but a little uninspiring, especially in comparison to the Canary Wharf skyscrapers which tower overhead. Walk inside the market, though, and the scene which unfolds more than compensates for the lacklustre exterior: smoked fish, trays of writhing eels, and catches arriving from up and down the country, and indeed from all over the world. I join Chris on his morning tour of the market, and eavesdrop on the daily chats he has with the traders, all of whom he knows by name. After working as an environmental health officer, Chris assumed his role here, appointed and employed by the Fishmongers’ Company (which among various other things also implemented Fish on Friday). One of his main duties is to keep check of hygiene at the market, and make sure that everything on sale is fresh. Fish which aren’t up to standard get a big red “C” for “condemned” drawn on them. They’re withdrawn from sale, put in refrigerators and then, twice a week, collected by a specialist company who turn it into fertiliser. But nothing needs condemning today. Chris also shows me the ice machine, which makes delicate frozen flakes that can lie across fish without bruising them and which also have a larger surface area, so that they can chill more efficiently. We drop by warehouses selling knives, cleaning fluids, aprons. 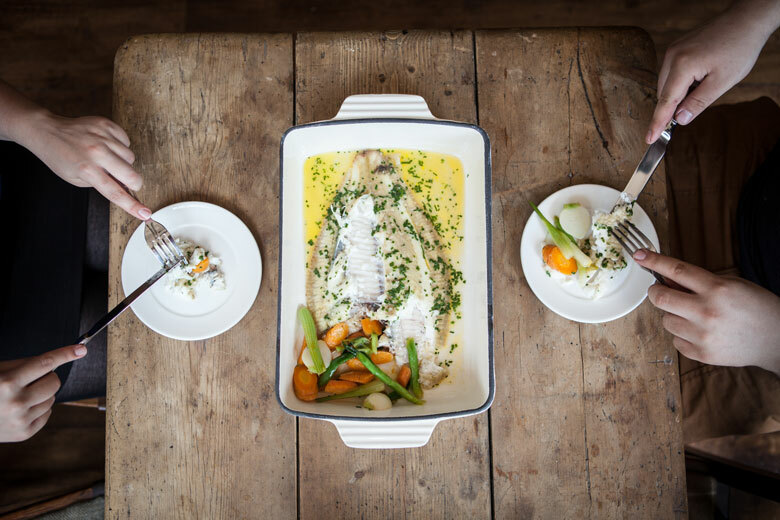 We visit companies whisking up sushi on-site, and three catering companies which fillet the fish and send it out ready-to-cook fish straight from their warehouses. And we go to the enormous freezers which are maintained at -26°C, from which balaclava-clad workers emerge and start peeling off layer upon layer after a shift. 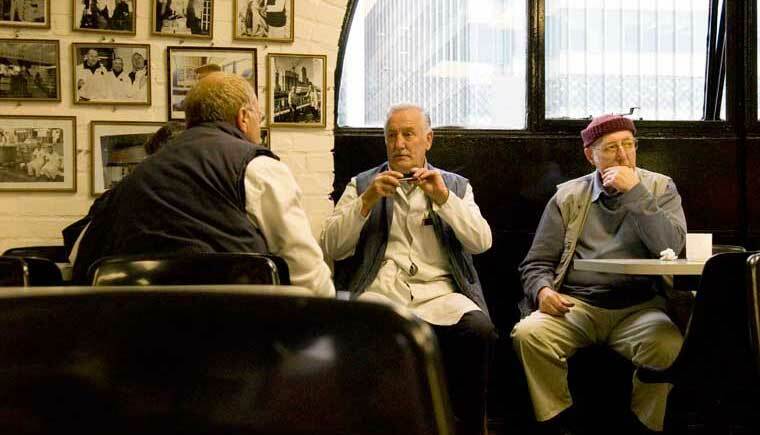 After a few seconds of looking around in here, the chill gets to me, so we retreat to Chris’s office, and sit down to enjoy one of Billingsgate’s biggest perks: a legendary breakfast brought up from Piggy’s market café. I devour a salty bacon-and-scallop sandwich, between slurps of sugary-sweet, strong tea. And I head off to the DLR, fully fed and ready to take on the rest of the day. Meanwhile, commuters pour off the trains and hustle into the nearby offices, as their day begins. The market cafés, like Shimmy’s here, serve great breakfasts with plenty of atmosphere thrown in. 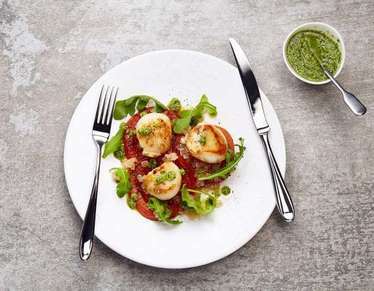 15% of sales at Billingsgate Market are now to retail customers, and non-trade is welcome. 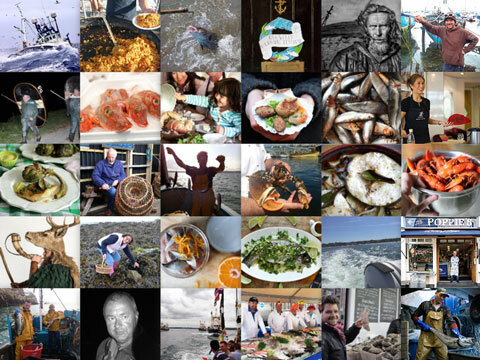 Although fishmongers start arriving at 2:30, a good time to visit is 6:30am, when the market is still buzzing. Breakfasts are available in the market cafés for £5.